Living Legend Sachin Tendulkar - A site from a die hard Sachin Tendulkar Fan: Kevin Pietersen praises Little master. Kevin Pietersen praises Little master. Like any other batsman in the world England captain - Kevin Pietersen would love to follow the footsteps of Little Master - Sachin Tendulkar. Even though little master is off the hook for first 3-ODIs,he is expected to be available for later part of the series which begins on Friday, and two Tests.Pietersen said,Sachin Tendulkar is a true cricketing legend who doesn't need to boast about what he has done in the game - his record speaks for him. Would I love to emulate him? Of course. Wouldn't anyone want to finish with figures like that from such a long,illustrious career? But he started playing international cricket when he was about eight! Well, it seemed that young. As far as trying to emulate his achievement goes, I'm a very long way off. I may have trouble getting anywhere near Sachin Tendulkar's monumental batting feats. The Indians identified him as a precious talent with an old head on his shoulders. They weren't afraid to throw him into the deep end and he has repaid them by becoming the best batsman in the world. I was pleased for him when he broke the record. He's a lovely man off the field and a wonderful role model on it for youngsters to copy. I'd love to score 10,000 - but I've got a lot of work to do. 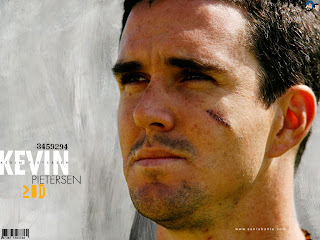 Pietersen added ,apart from Sachin, they have a world-class batting line-up with Dravid, Ganguly,Laxman and the rest.